Quantum computing is still in its infancy, but you wouldn’t know it judging from the investments pouring into the space. Startup Rigetti has raised nearly $120 million in VC funding; the U.S. Department of Energy has committed $218 million to advance quantum information sciences, and incumbents such as Microsoft and IBM have launched accelerator programs for quantum startups. Analysts are already bullish on the potential of this technology. Research and Markets estimates that revenue from quantum technology will top $13 billion by 2023, while ReportLinker predicts that the quantum cryptography alone will grow from $101 million in 2018 to $506 million by 2023. 2019 looks like it could be an inflection-point year for turning quantum computing from theory to fact. IBM, D-Wave and Rigetti all have commercial quantum computing products on the market now, and several startups in this top-10 lineup have already landed customers. The startups outlined here are developing everything from quantum semiconductors to quantum cyber-security tools to cloud-based, quantum-powered applications for the enterprise. CEO: Andrew Fursman, a Founding Partner of Minor Capital. What they do: 1QBit develops applications that are intended to scale up in step with advances in quantum computing. 1QBit’s SDK gives developers the necessary tools to test and develop hardware-agnostic applications. The SDK includes an interface to connect to quantum hardware, a tool that transforms problems into polynomial form, and pre-built algorithms that can be customized. 1QBit also offers a cloud-based service, 1Qloud that serves as a computational bridge to quantum-computing hardware. Key Differentiator: 1QBit is focused on applications, algorithms and APIs. 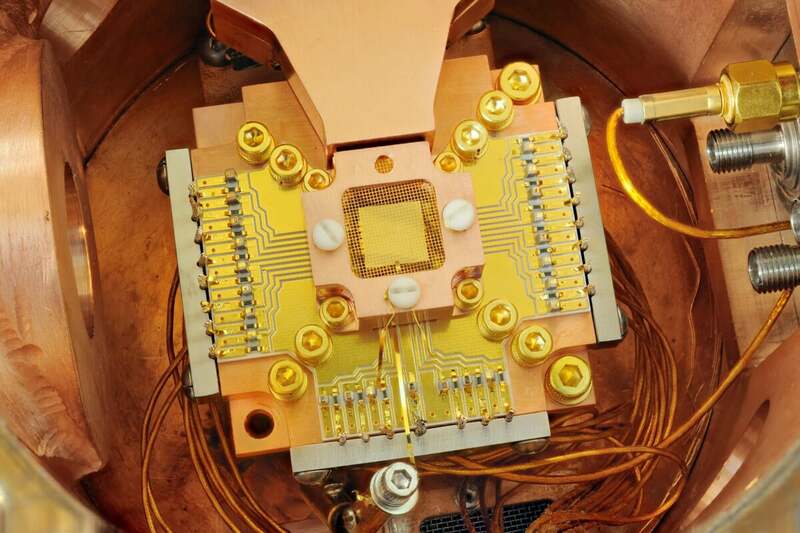 Other quantum cloud startups may have similar messaging, but 1QBit’s decision to plug the gaps between classical computing and quantum computing is already paying off. For instance, the startup recently began working with NatWest and Fujitsu to leverage quantum computing to determine optimal investment portfolio compositions. 1QBit is also working with Accenture Labs and Biogen to develop a quantum-enabled molecular-comparison application that could improve advanced molecular design, an innovation that could speed up development of drugs to treat complex neurological conditions. Why they’re a hot startup to watch: 1QBit has the funding, talent, and early wins needed to establish itself as a front-runner in the quantum cloud niche. In November 2017, 1QBit announced the close of a $45 million (Canadian) Series B round led by Fujitsu Limited, with additional strategic investment by Accenture, Allianz, The Royal Bank of Scotland, and CME Ventures. The amount raised in the Series A round has not been disclosed. Strategic investments from Fujitsu and Accenture have already resulted in collaborations to build financial and drug-discovery tools. The founding team has a financial background. Prior to 1QBit, President and co-founder Landon Down was a founding partner of both Agentis Capital Partners and Minor Capital. CEO and co-founder Andrew Fursman was a founding partner of Minor Capital, and before that he co-founded Satellogic Nano-Satellites and Cloudtel Communications. 1QBit is part of both IBM’s Q Network and Microsoft’s quantum development program for startups, which should help it carve out a niche in the quantum-technology market. Finally, 1QBit has something that most quantum computing startups do not: named customers. CEO: Christopher Monroe, who is also Bice-Zorn Professor of Physics at the University of Maryland. What they do: IonQ is developing full-stack quantum computing products. IonQ’s hardware is based on trapped ion technology that CEO Chris Monroe developed at the University of Maryland in collaboration with CTO Jusang Kim, who was at Duke. The first quantum computers on the market – from the likes of IBM, Google, and Rigetti – create qubits on silicon chips that are cooled to nearly absolute zero. While this approach is said to benefit from the mature manufacturing technologies of the semiconductor industries, IonQ argues that solid-state quantum computers have proven to be unstable and error-prone, limiting them to short and simple calculations. IonQ’s trapped-ion technology suspends individual atoms of the rare earth element ytterbium. Those atoms are the quantum bits (qubits) in IonQ’s system. Precisely aimed laser beams store information, process it and retrieve it from atoms. Key Differentiator: Co-founders Monroe and Kim are longtime collaborators, best-known for their work on ion-trap experiments. Ion trapping differentiates IonQ’s tech from competitors. Trapped ions represent one of multiple approaches being explored to power quantum computers. According to IonQ, most of the incumbents getting into this market are attempting to leverage their legacy core semiconductor technologies by creating qubits with superconducting circuits. IonQ argues that trapped ion technology, which uses lasers to cool and isolate individual ions, will leapfrog over retrofitted legacy technology because trapped ions are identical, stable, easier to control, and, therefore, they will scale with better performance and greater predictability. In December 2018, the startup announced that it had successfully built two quantum computers based on ion trapping. These quantum computers will be available to researchers sometime early this year. Customers include: IonQ says that during this calendar year, it will launch a private beta to make its quantum computers available to researchers and industry. Why they’re a hot startup to watch: IonQ launched in 2016 with $2 million in seed funding from New Enterprise Associates and a license to commercialize core quantum computing technology the founders developed while at the University of Maryland and Duke University. In July 2017, IonQ locked down an additional $20 million in funding from GV, Amazon Web Services and NEA. In December IonQ announced its first two trapped-ion quantum computers, and the startup claims it has achieved record performance for quantum calculations. The founders intend to publish the results in peer-reviewed journals sometime in Q1.